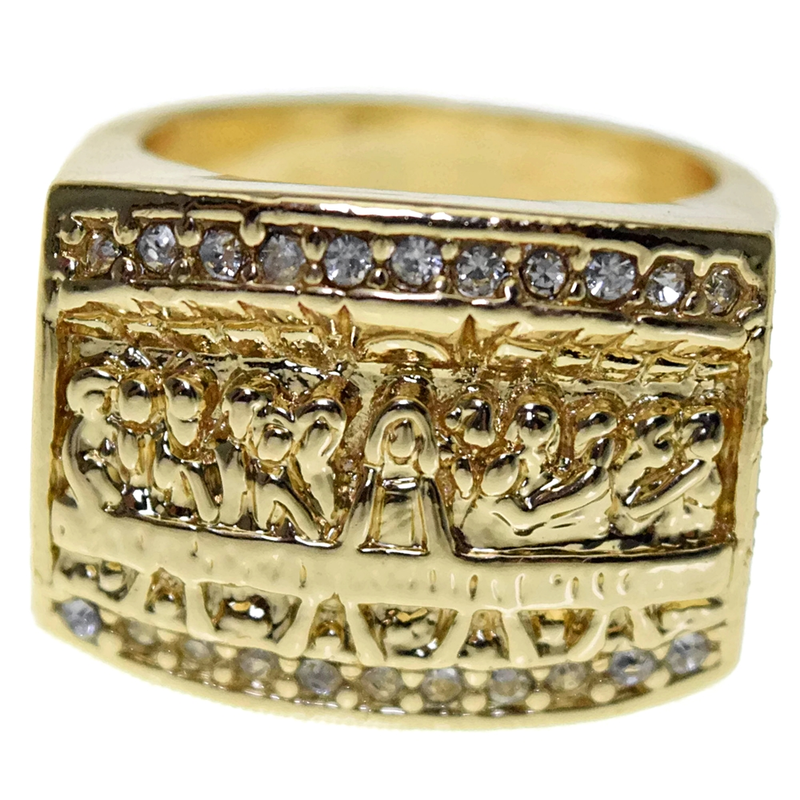 Huge and chunky The Last Supper iced-out ring, draped in a yellow gold tone finish. 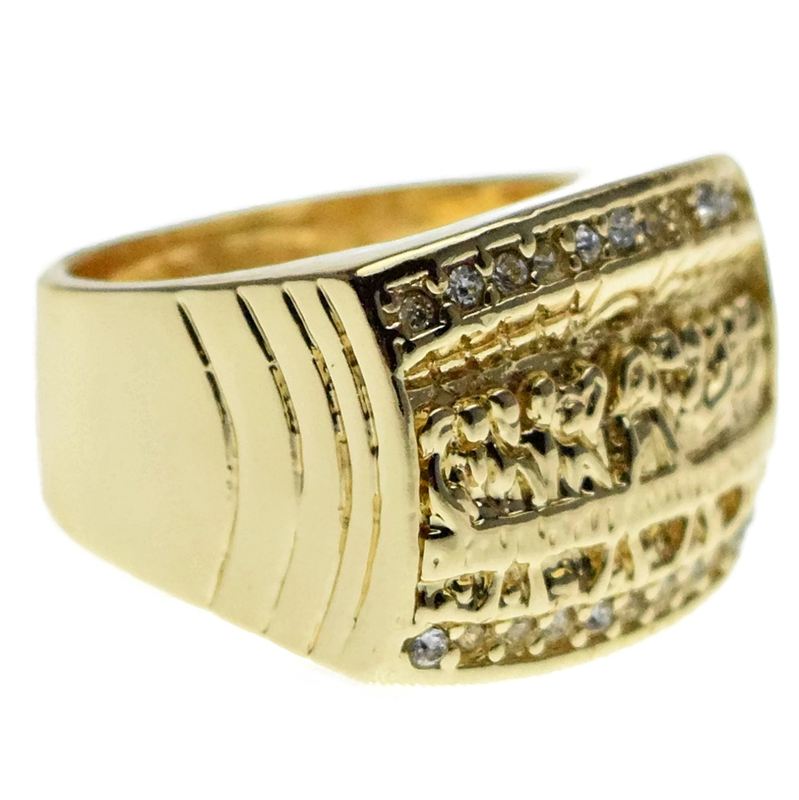 Take your choice from US ring sizes: Size 7, Size 8, Size 9, Size 10 and Size 11, Size 12. Size 13. 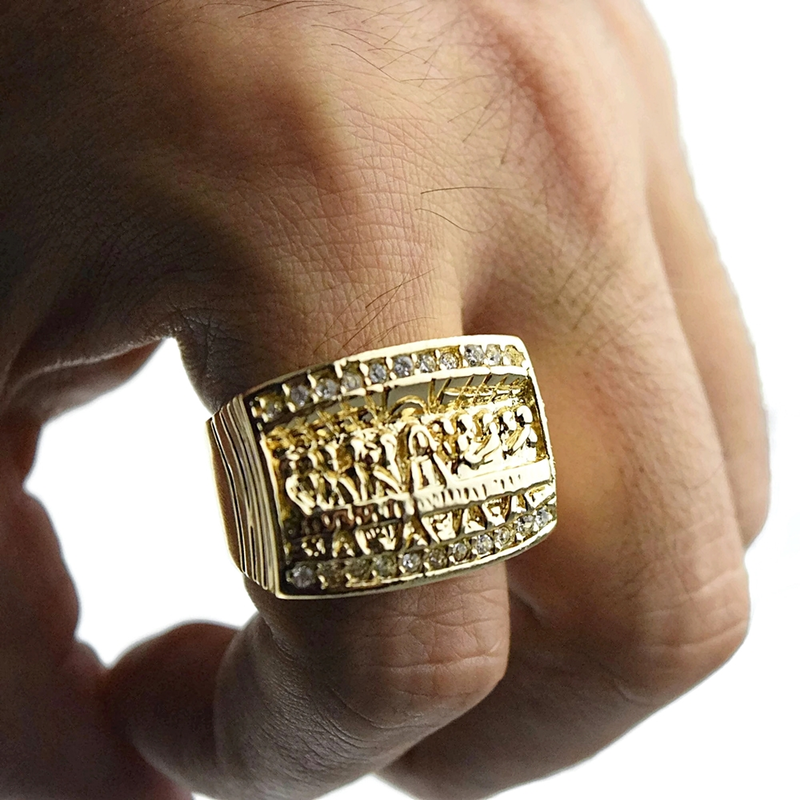 Super chunky, iced-out ring are made from heavy brass metal. 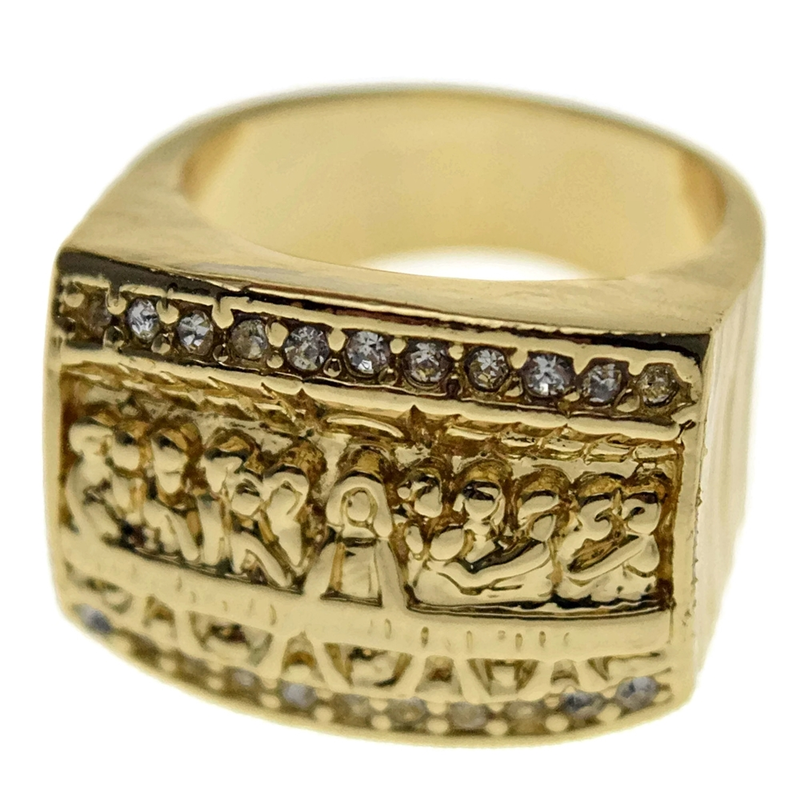 Iced-out The Last Supper scene, two rows of round-cut stones. The large rectangular face size is approximately 27 mm wide x 21 mm tall. 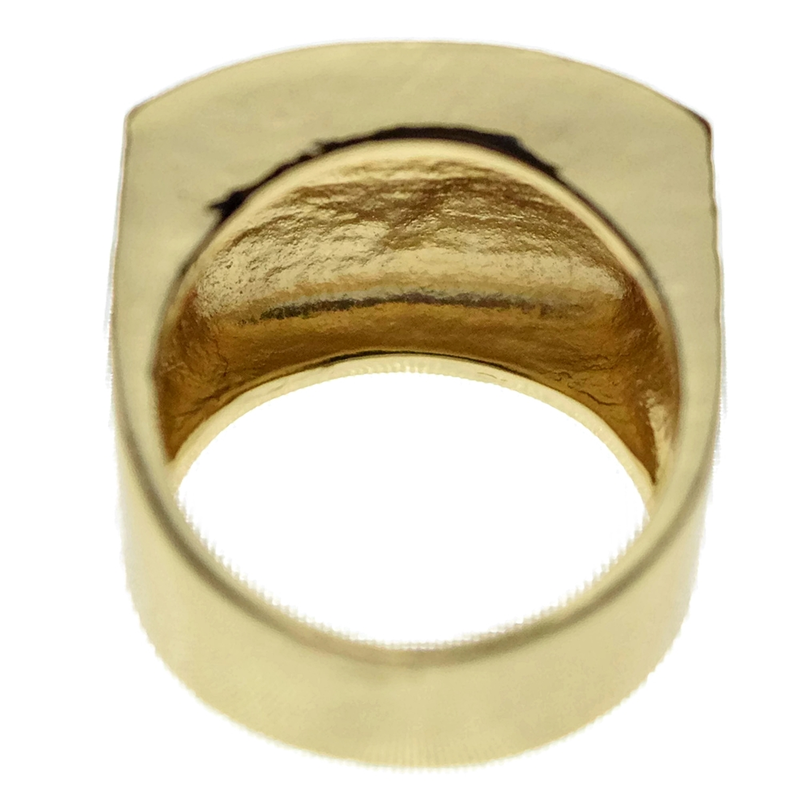 Heavy rings weigh approx 20 grams each, depending on the ring size. 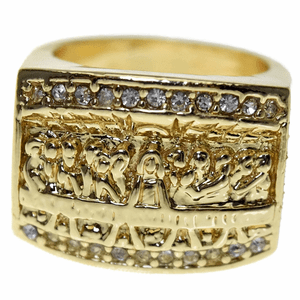 Bold hip hop ring is superior quality, made in Indonesia, and super attention-getting. Emjoy 100% FREE SHIPPING in the USA.